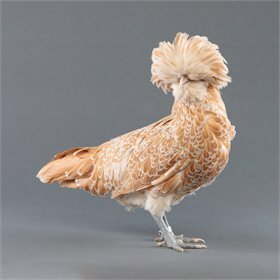 The Japanese Bantam is a truly unusual breed of chicken! 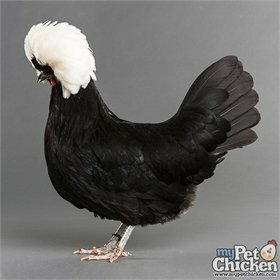 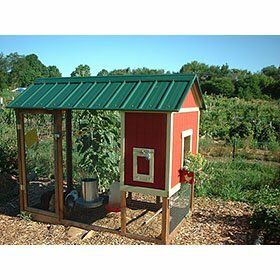 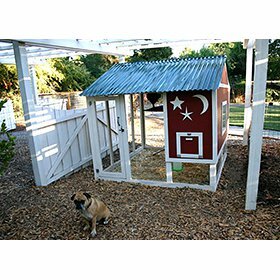 It's one of the few breeds that's a "true bantam", meaning it is not and never was bred as a standard-size chicken. 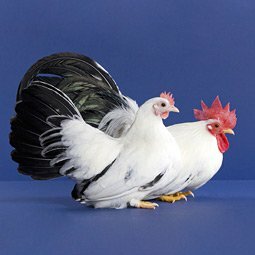 They're extremely short-legged, their tails should be well-spread and pointing almost straight up, and their combs and wattles should be proportionally very large (which makes them susceptible to frostbite).